Patent Attorney Raleigh / Trademark Attorney Raleigh. Albert brings years of experience from top Am Law 100 firms and is an experienced patent attorney who assist clients on various intellectual property matters. 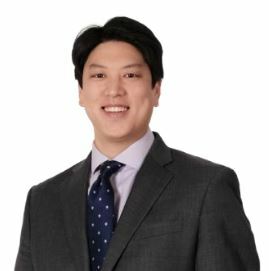 Prior to joining the firm, Albert was an associate attorney at Alston & Bird, LLP and Womble Carlyle Sandridge & Rice, LLP. Albert has helped clients ranging from individual inventors and small businesses to Fortune 500 companies prepare, prosecute, and obtain patents to protect their most valuable assets. Albert understands the unique challenges that different business entities face in the market today. Albert is a member of the State Bars of North Carolina, US Patent & Trademark Office, and the American Bar Association.